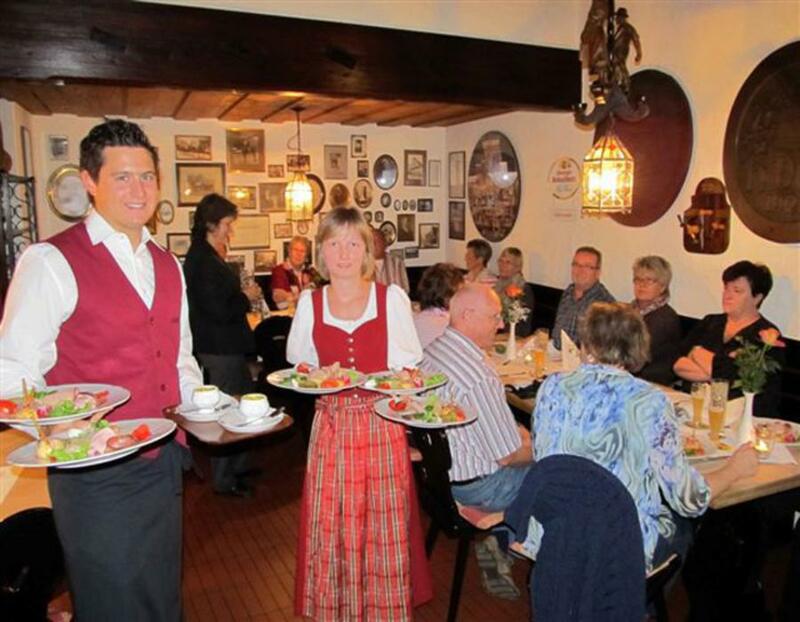 Welcome to our traditional brewery restaurant and hotel. 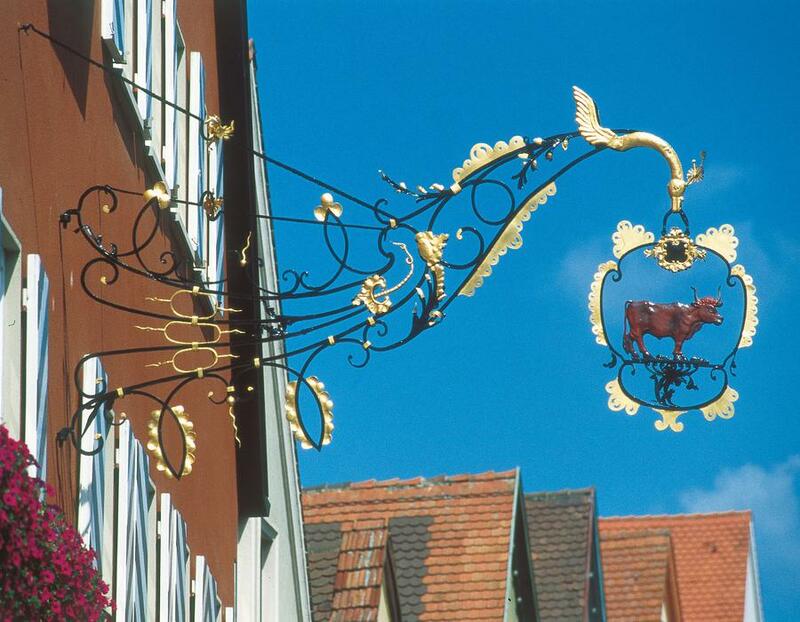 We welcome you to dine and stay with us in the middle of the historic old town of Ellwangen. 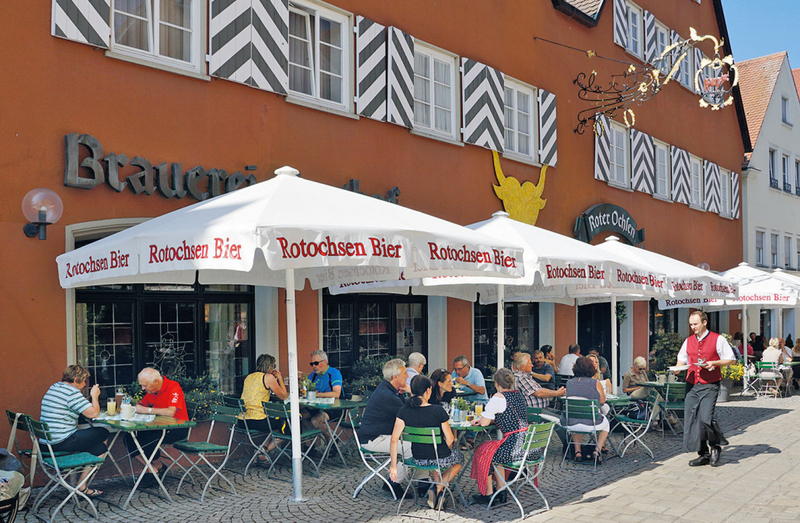 Our house is located directly on the Kocher-Jagst cycle path. 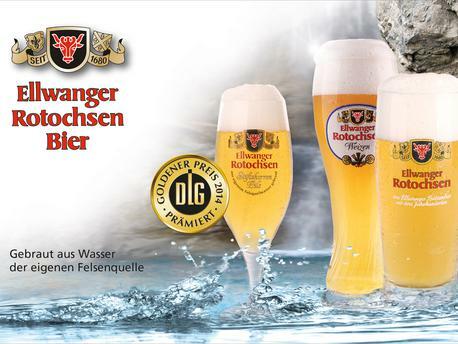 The family business, which was founded in 1542, officially received their right to brew beer in 1680. Our inn is a historic building which was built step by step, era by era, using the foundation from the original former ale house! It was eventually converted into a brewery inn – yet still, the former ale house’s character and charm have remained! The hotel does not close. Closed: The restaurant is closed on Sunday from 3:00 PM onwards and on Mondays. 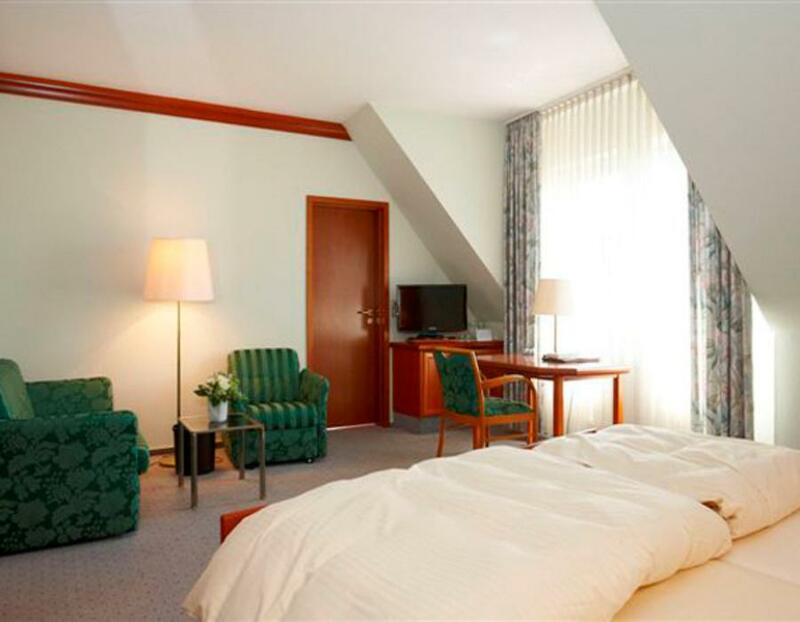 Our long-standing family tradition and original guest rooms allow the guests to feel at home at the Red Ox. 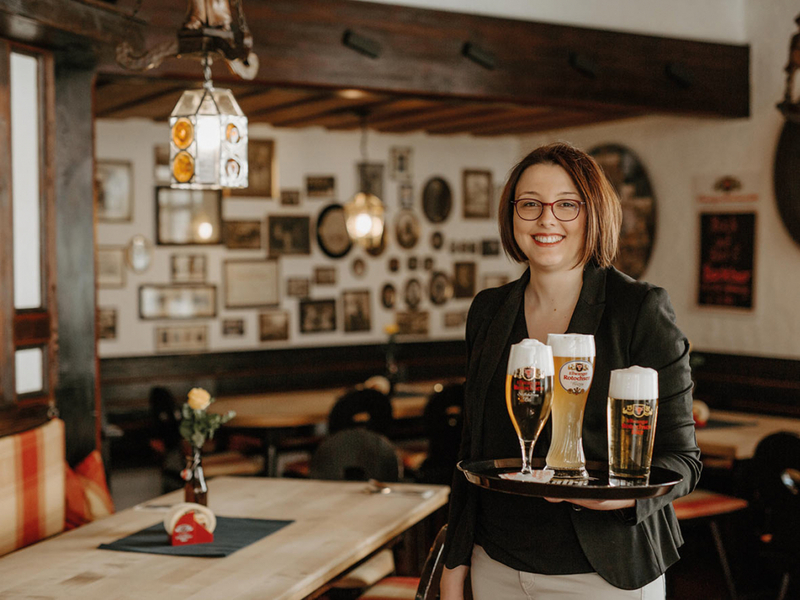 Having a Red Ox beer and some Swabian cuisine in our ‘red room’ or our ‘beer chamber’ is one of the best ways to spend a day. 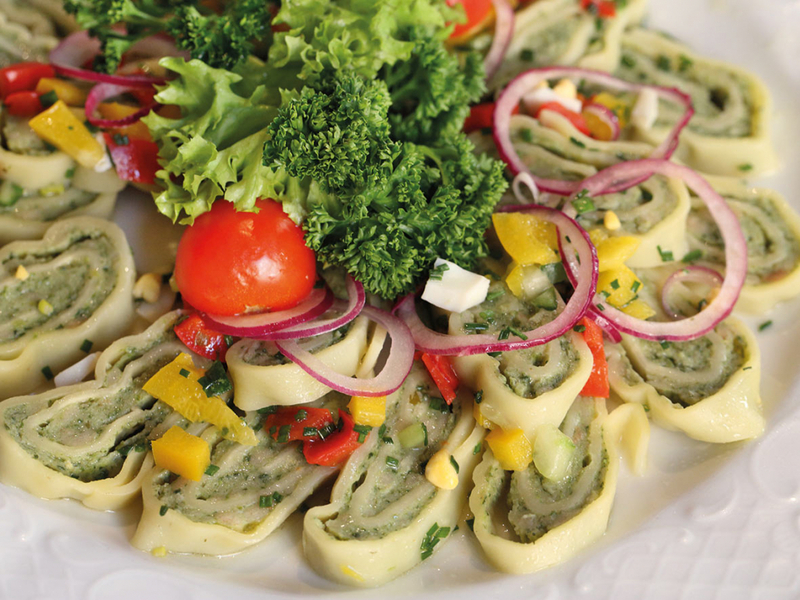 There are also other special beer dishes on our menu. For families or groups, our ‘green chamber’ with its painted oak barrel floors or our ‘white chamber’ will offer the right setting. 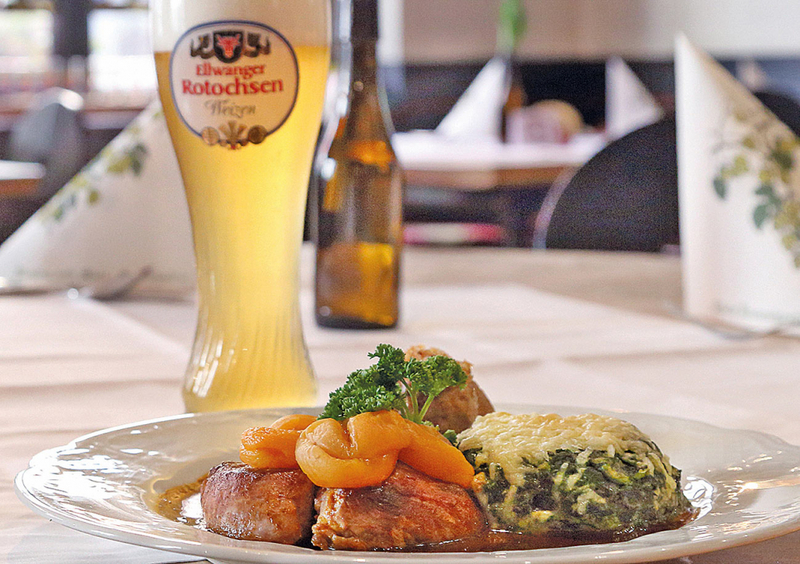 Not only our beer, but also our cuisine will make you feel at home in our inn! 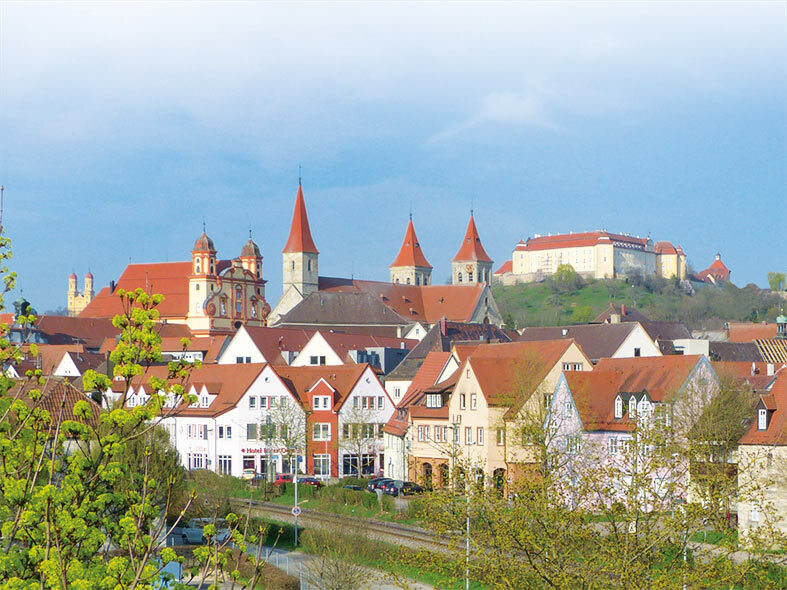 Explore Ellwangen and its many sights! 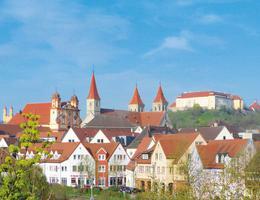 The St. Veit basilica, the castle, the pilgrimage church Schönenberg are just a few of them. Make sure to savour our Red Ox beers and to enjoy our three course beer menu. Double room 144,- € p. P.
Single room 164,- € p. P.
The water, which is so very important for the brewing process, is sourced from our own spring. It is crystal clear and at is the very freshest water one can brew with. Our carefully chosen brew malts and fine hops originate from regional cultivation. We also abstain from using industrial beer production methods which could affect the freshness and the quality taste of the beer such as using the quick heat up method and also the pasteurization of beers.